I have been hesitant to update my current situation on my blog for some time now. But decided it would be best to let my "Inspired by Pinterest" followers know what is up! 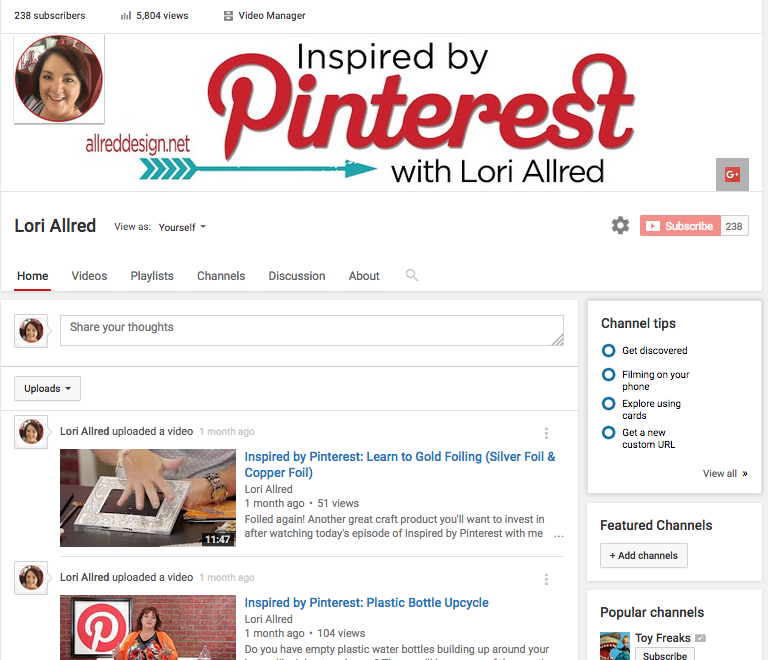 The past five years working for My Craft Channel and developing my "Inspired by Pinterest" show has been amazing! However, they have decided to pursue other opportunities with the company and as a result my show (all shows on MCC) were essentially canceled. I'm no longer working with them on their social media and marketing or obviously my job as the MCC Program Director. It was a dream job and I have been super quiet about my parting from my DREAM JOB since June, but I've finally come to grips with the reality and decided to move on. If you're looking for my Inspired by Pinterest shows, I'm putting all my episodes up on a new "Inspired by Pinterest" YouTube Channel. I would love your continued support by having you click over and subscribe to my channel. In all seriousness I have loved filming Inspired by Pinterest and working with all the amazing talent over the years. But I am so excited for opportunities to change my focus. If you follow me on social media then you will notice that I've enjoyed the time to focus on improving my HEALTH. I'm also very involved working with REFUGEES here in Utah. I will continue to craft and hope to bring more "Inspired by Pinterest" blog posts and Facebook Live events as well. From the bottom of my heart...thank you for your support. P.S. Shameless plug... please follow me on Instagram, Pinterest and Facebook to learn what I'll be cooking up next!! I have been having withdrawal symptoms missing you! Loved your show and have always been inspired by it! 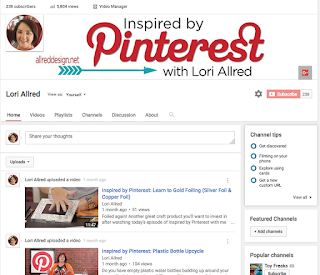 Have subscribed to your new " Inspired by Pinterest"! Thanks for bringing us up to date! I have missed your videos. I hope you can start doing them on youtube. Working with refugees is important as well. My DIL went to TN this summer on a mission trip with the youth group and worked with some there. I already follow you on Pinterest and now will follow you on FB. I think I can follow you on Instagram even if I don't have a phone to use the acct. Well, MCC hasnt done anything all summer. Is it going away? You were the best videos to watch. I've certainly missed you on MCC...Thursdays are not the same! I did subscribe to your youtube and I'll certainly check in @ your blog for inspirattion! Hope new and wonderful opportunities open up to you!